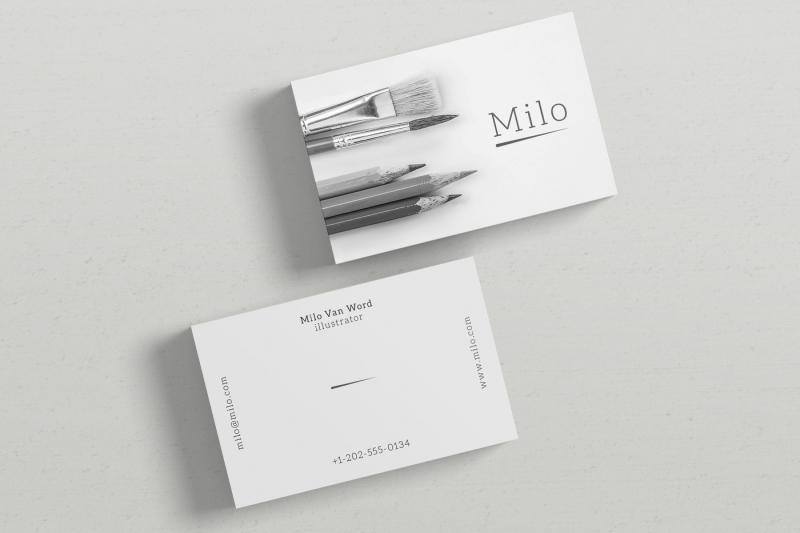 MILO business cards come in two sizes 55 x 90mm(2,2 x 3,5inch) and 90 x 55mm(3,5 x 2,2inch) and all are editable in Illustrator CS5+. 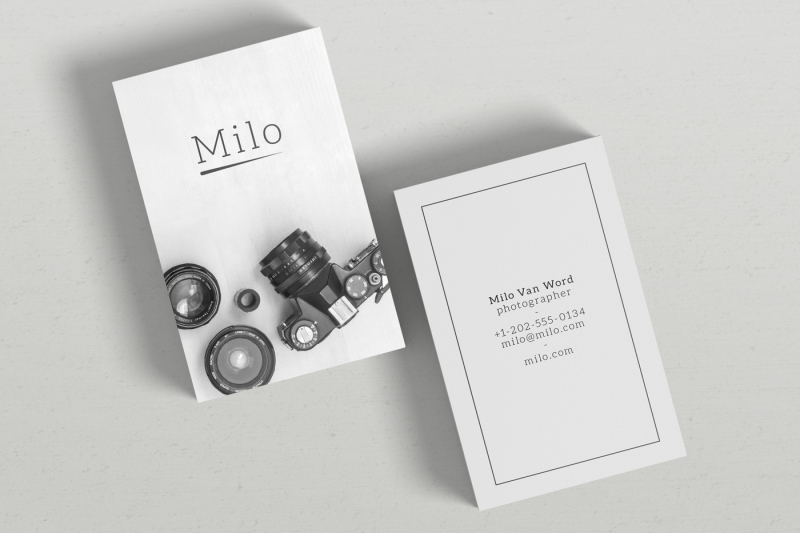 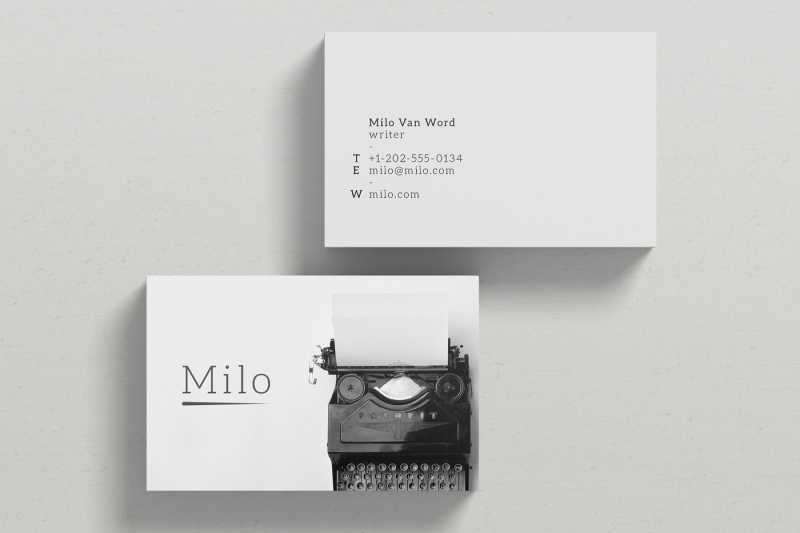 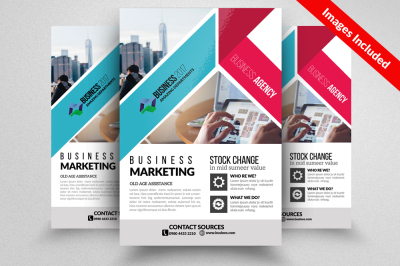 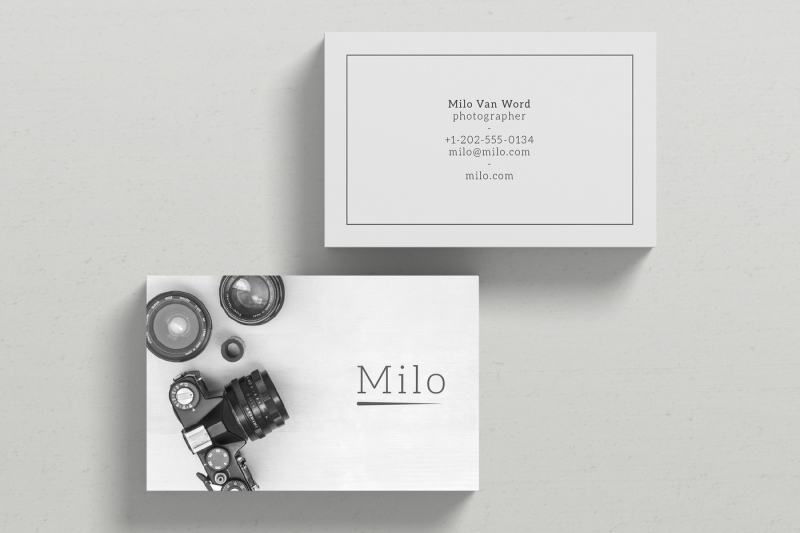 MILO business card template uses only free fonts and free images that are both included in the ZIP file. 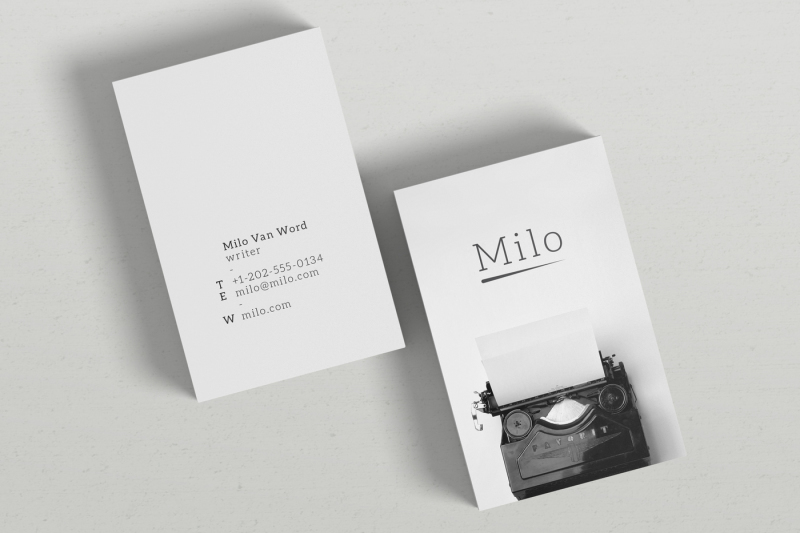 BONUS ZIP includes free Milo logo that is fully vector and editable. 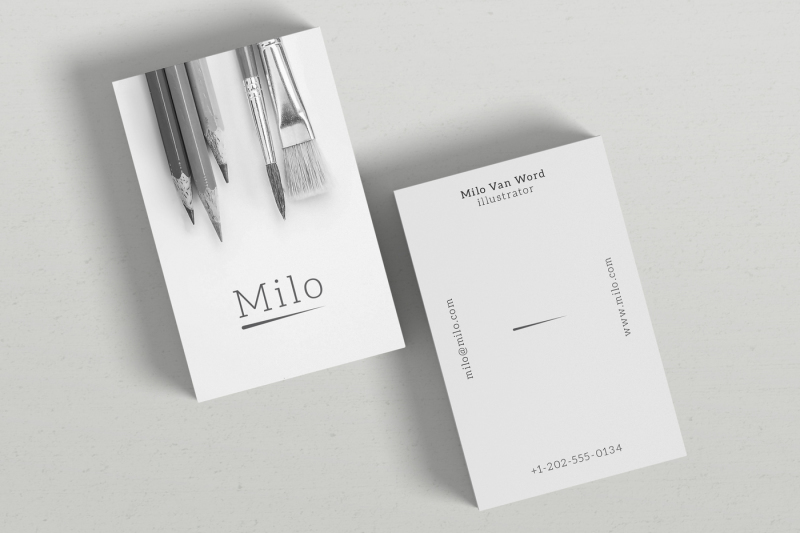 Just replace the brand name with you own.